Do not use the essential oil, except under professional supervision. Large doses for extended periods can lead to liver and kidney damage. It is thought to have originated in Asia Minor, but is now found in Europe, Siberia, the Caucasus, the Near East, the Himalayas, Mongolia, Morocco, and introduced into the Americas. Caraway is an aromatic member of the carrot family, an annual, growing to about two feet. It has a ridged stem, feathery leaves, and umbels of white flowers. The seed capsules contain two small narrow seeds that are harvested when they become ripe and are about to expel their contents. The oil is extracted from the ripe seeds. English Caraway is thought to be superior to the Dutch and African varieties and grows wild in only a few areas of Britain. For centuries, people have chewed the seeds to promote digestion, perk up the appetite, and to treat a variety of intestinal problems. Caraway is thought to have flavoured bread during the reign of Julius Caesar, a practice which continues today. Commonly used in cooking, Culpeper, in 1652, wrote about its medicinal value that included cures for flatulence, increasing urinary output, and for colds and stomachaches. The seeds contains carvole and D-limonene (carvene). These substances soothe the digestive tract and reduce bloating and gas. They also reduce muscle spasms and may have some antihistamine, antibacterial, and antifungal properties as well. The herb has proven to be effective against bacillus, pseudomonas, candida, and dermatomyces. When applied to the skin of lab mice, small tumors disappeared and new ones grew more slowly. Caraway has a similar action to anise and fennel. 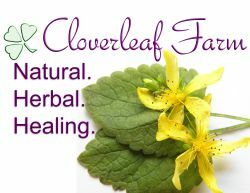 It freshens the breath and soothes the digestive tract to relieve colic, cramps, bloating, and flatulence, which has been confirmed by scientific research. The oil also promotes the flow of saliva and the secretion of gastric juices, actions that stimulate the appetite and promote digestion. A British herbalist, Harry Eagles, reportedly developed a formula for a tincture of Caraway that was especially valuable in treating serious cases of anorexia. Caraway has the reputation for increasing breast-milk which, in turn, soothes the nursing infant of any colic. A diluted caraway infusion is sometimes added to an infant’s bottle to reduce gastric upset. As an expectorant, it is safe enough for children during such illnesses as bronchitis and croup. Diluted essential oil is a useful remedy for scabies and is also a constituent in mouthwashes and bath additives. Traditionally, caraway is promoted to help regulate menstrual periods or prompt the return of menstruation in women whose periods have stopped. The phytoestrogens may also help reduce menstrual cramps. Tea made from the seeds may prevent or treat iron-deficiency anemia. It has been proven that iron absorption is increased when the tea is consumed.